Recently, I've been gaining weight. It didn't hit me until two weeks ago when I weighed myself. Despite "dispensing" a huge, um, "Mr. Hankey," I tipped the scales at 182.2 lbs. I knew that I was getting fat..., err heavier, but I didn't think it was that bad. In "bad," I mean a 20-plus pound weight gain in two months. The reasons for the extra pounds vary, with some of them being personal. But in the end, there is no excuse for my weight gain. So to remedy my predicament, I thought about suspending "Ken's Food Find" and going on a strict diet of salads and Lean Cuisines. However, in depriving some of my detractors of wide-eyed wet dreams, I've decided to change the focus of the blog to highlighting healthier foods. Doing this in America's fattest city may not be an easy task, but I'm confident that I will find interesting places to dine at. In Wrapzody Gourmet Wrapz, I believe I'm off to a good start. In choosing restaurants that fit my criteria, I want those that offer a balanced combination of good taste and proper nutrition. I can't will myself into eating salads everyday because I'm not accustomed to that. 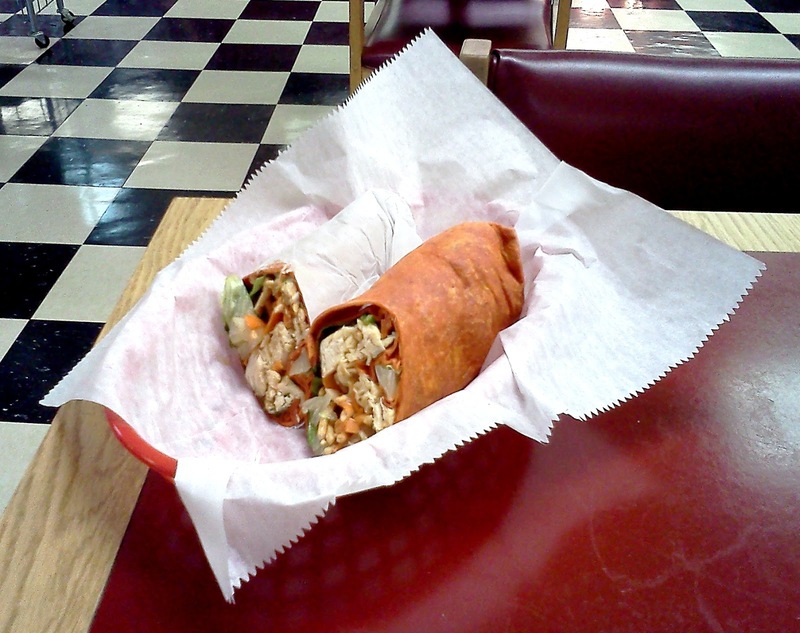 Fortunately, Wrapzody offers a variety of beef, chicken, turkey and vegetarian wraps to choose from. The choices aren't limited to the stuff inside them, but the wraps themselves. 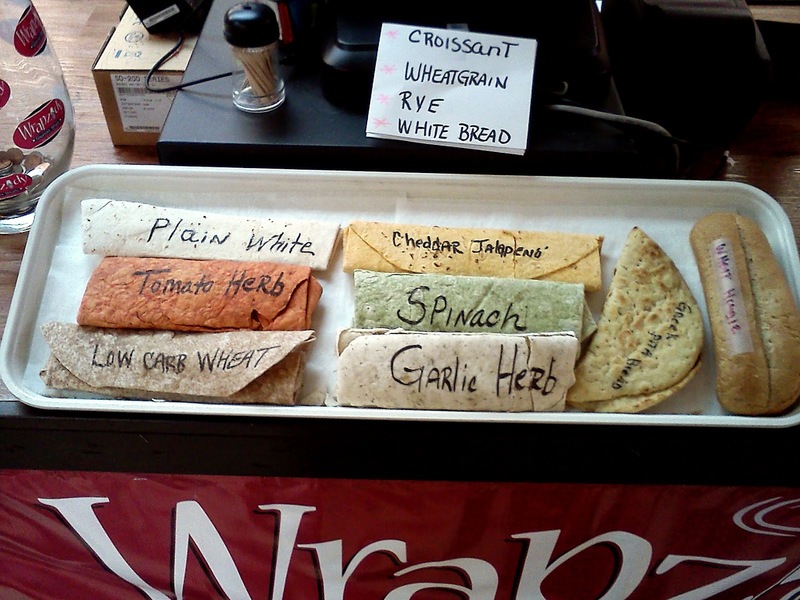 Wrapzody offers tortilla wraps in several flavors, from "plain" to several herb seasoned options (it also has pita wraps and hoagie buns). For my entrée, I chose Tomato Herb for the Thai Chicken Wrap. The wrap had the Asian flavor I expected. It was sweet and spicy due to the presence of sweet chili and Thai sauces, with crunchy chow mien noodles and veggies augmenting the taste. Tomato herb was the right choice of wrap, for the subtle flavor blended nicely with the stuffing inside. I'm not sure how many calories it had, but it was light on the stomach while satisfying my appetite. Overall, it was very good. A few days later, on sunny Friday morning, I decided to try something from Wrapzody's breakfast menu. I settled for a "wrap" of a different kind, the 4-Veggie Omelet with spinach, cheddar cheese, mushrooms and a trio of sweet peppers. My desire was for something similar to the delicious French Omelet that I occasionally get at Cafe Eclectic, but Wrapzody fell just short of that expectation. While the omelet was good, there just wasn't enough of it to satisfy my appetite. Despite its size, the spinach, mushrooms, peppers (red, green and banana) and cheddar combined for a nice flavor in the omelet. The wheat toast with margarine complemented the entrée well, although I was still hungry when I finished it. When I get the omelet again, I will get a side item with it such as sausage or, in keeping with my healthy agenda, a bowl of fruit. 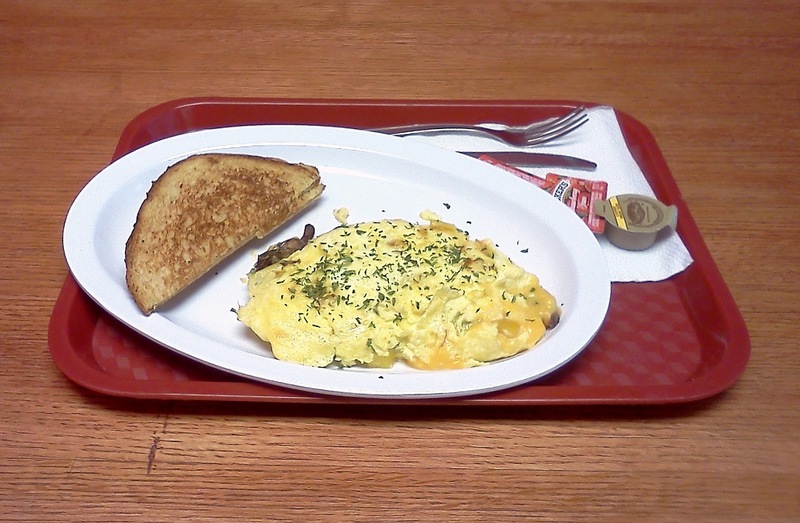 In all, Wradzody makes a decent omelet that I'll likely order again. SIDE NOTE: After I left Wrapzody, I went to Bardog Tavern for a beer or two. While I was there, I got one of the daily specials, three sliders with barbecue sauce, bacon and pepperjack cheese with fries. While I didn't do my diet any favors, the medium rare-cooked sliders and fries really hit the spot. 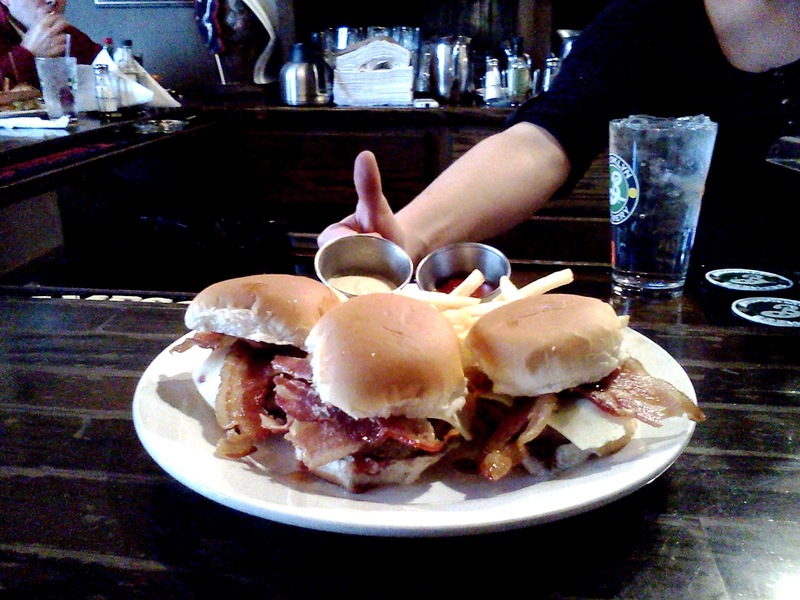 In terms of taste, the sliders met Bardog's standards of excellence. Although I might have gained a pound or two from it, the lunch at Bardog was worth it. 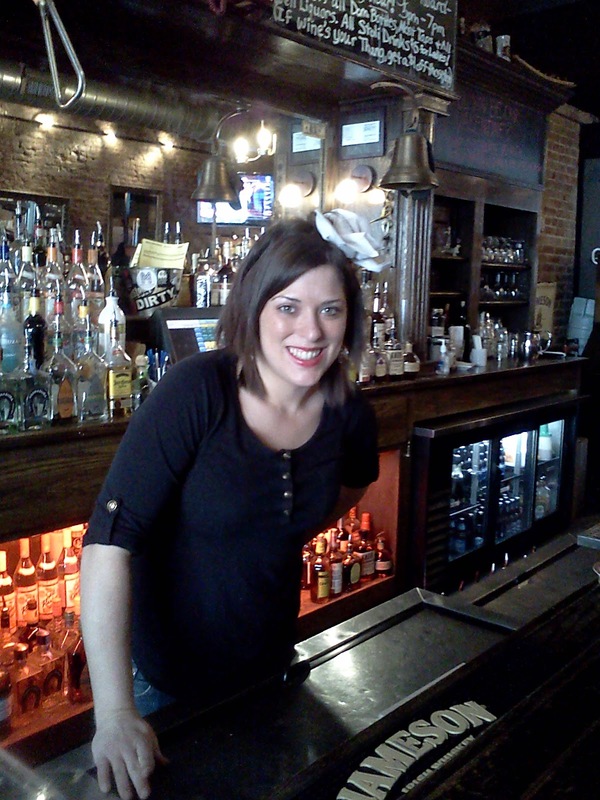 By the way, the person giving the thumb in the picture is the lovely Brittany, one of the best bartenders in Downtown Memphis. For my first foray into healthy dining, I will say that it was successful. Wrapzody has a lot to offer for those who want to eat healthy while having fun doing it. Even those who aren't into that lifestyle will likely find something appealing on Wrapzody's menu. 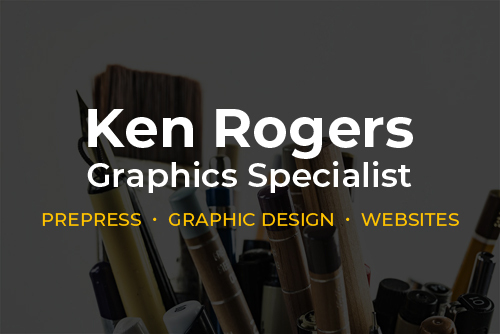 Before I close, I want to say the service is very expedient and friendly, qualities that I hold in high regard when choosing restaurants. With great service to go along with an appealing menu, I will try to visit Wrapzody often while I strive to lose weight. Wish me luck (by the way, I currently weigh 174.2 lbs. ).